Install electrical and telecommunication lines in Medical Center Drive and the new Gilman Bridge that spans over Interstate 5. Challenges included excavation and installation around numerous existing utilities, and coordination with the bridge construction crews to install conduit and duct banks in the bridge. 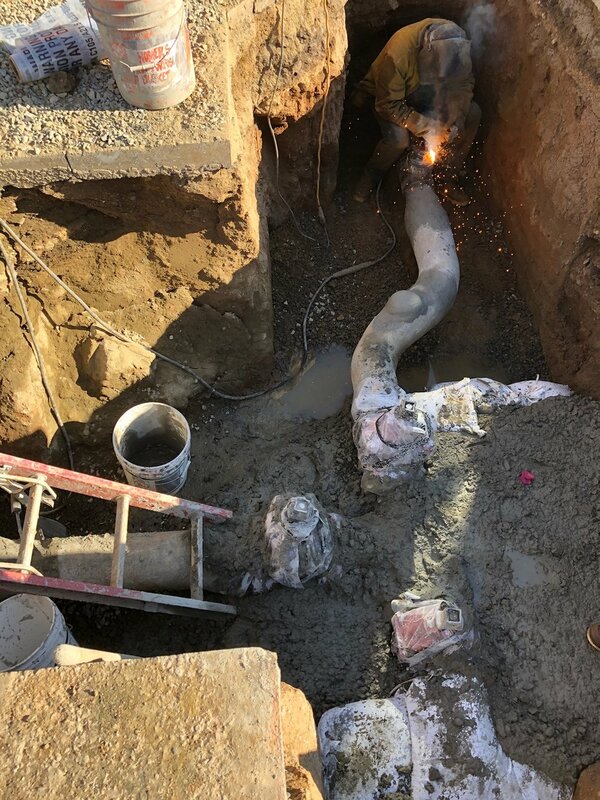 We have many highly experienced underground installation crews that have been involved in numerous challenging pipeline projects in Southern California. 5 counterfort retaining walls totaling 90,000 square feet, Walls were up to 2600’ long and 23’ high, support 4 rail road tracks designed for E-80 loading. Three walls were built within the Rose Creek Channel with extreme flood and scour potential. The unique precast panel retention system eliminated shoring and saved SANDAG and the contractor several million dollars. The wall design was thoroughly reviewed by over 40 engineers, including engineers for SANDAG, NCTD, and the City of San Diego. With our experience on both the owner’s side and the contractor’s side of projects we understand how to meet everyones needs fairly to keep a project moving. We can manage contracts, submittals, claims, or entire projects. Our time managing projects for large civil construction companies has taught us a lot. Replacement of 1,000 feet of 6 inch waterline with 6 inch CMLC, 7 services, 3 fire hydrants and 5 tie ins. SRK completed construction in very close proximity of the existing waterline. Also sucessfully completed within contract terms below the Owners estimate.